I had the pleasure of interviewing Dr. Heidi Jannenga, PT, DPT, ATC, who has been an extraordinary visionary and passionate advocate for advancing the rehab therapy profession for more than 20 years. 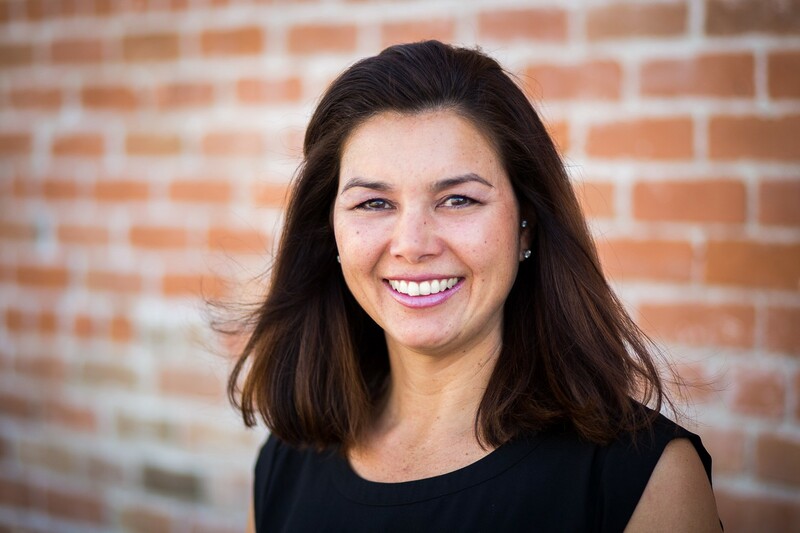 As the co-founder and president of WebPT, the country’s leading software platform for outpatient rehab therapy, Heidi has empowered countless providers and practice owners to achieve greatness in practice, advocate for their profession, and embrace innovation as a means of improving patient care and fueling business growth. In college, I played basketball for the University of California, Davis, and during my junior year, I suffered a significant knee injury. That’s when I was introduced to an amazing physical therapist who helped me return to the court and sparked my passion for the profession — and my decision to leave my pre-med career path behind. I knew I wanted to be able to impact others’ lives through physical therapy, so I immediately changed my major and went on to earn my master’s degree — and later a doctorate — in physical therapy. I practiced as a PT for more than 15 years and became a top sports medicine specialist in my area, treating professional, college, and high school athletes. In 2006, I became the director of one of the largest sports medicine practices in Arizona. And it was there that the idea for WebPT, my software company, was born. Many personal challenges have ended up being opportunities to make big leaps in my personal and professional life. At the time, my basketball injury felt like a major setback, but it led me to PT. Similarly, when I was clinic director, the challenge of not being able to find a cost-effective, web-based documentation solution led me to build what would become WebPT. Even after WebPT launched, I eventually had to face yet another challenge: transitioning away from seeing patients. In the beginning, I continued to practice PT. But eventually, I realized that patient care was simply too much to balance with motherhood and serving as an executive at a rapid-growth software company. So, I had to make some tough decisions. While I no longer practice physical therapy in the traditional sense, I find great satisfaction in what I’m doing with WebPT, as it has empowered countless providers and practice owners to run better businesses, advance PT in general, and leverage the best technology available to improve efficiency and patient care. I still have the same desire to help and heal people, but my means of accomplishing that have changed, thanks to WebPT. A private practice is a business: Unfortunately, most healthcare providers — including PTs — don’t realize this until they enter the workforce. Speaking from personal experience, most PT schools fail to educate students on the practice management side of being a physical therapist. As a result, new PTs are often in the dark when it comes to understanding business plans, marketing and advertising, tracking and analyzing metrics, and implementing efficient billing practices. And that has to change. Developing a strong business and financial acumen — and understanding how to leverage technology appropriately — can help create efficiencies, foster a positive patient experience, and promote business growth. That’s why I encourage all future therapists — regardless of specialty — to seek out business education opportunities, whether or not their schools offer them. Customer service is essential to providing quality care:When I got out of PT school, I was so focused on what I’d learned regarding the treatment of specific conditions that I forgot to think about my patients as people. Luckily, I learned early on that we must treat each and every patient as a whole human being — not a condition. Helping patients recover involves more than achieving a desired outcome. Studies show patient satisfaction — which often hinges on things like great first impressions, short wait times, and consistent therapist-patient communication — is a key component of treatment and directly correlates to patient outcomes. It’s imperative to advocate for your profession:I’ve always had the gumption to stand up for our profession, but as a student, I didn’t truly realize the importance of advocacy — let alone understand how to go about it. Like many of my fellow PT students, I became a member of the American Physical Therapy Association (APTA) in 1994 while I was in school, but I never really took advantage of the opportunity to be heard and get involved. Why? Because I lacked — and failed to seek out — obvious mentors or opportunities to learn how to promote myself and my industry. Once I got into the real world, though, I quickly realized how much our profession is misunderstood, undervalued, and underutilized. And that’s when I finally understood the importance of advocacy. Making decisions on evidence and intuition go hand-in-hand: In our profession, there can be a lot of subjectivity when it comes to diagnosis and treatment. Our level of education and clinical experience as doctors of physical therapy seems to give us the authority to “go with our gut,” which that results in a great deal of practice variation from one therapist to another. We must keep in mind that objective measures are the foundation of our practice. As such, evidenced-based practice is relevant to not only making clinical decisions, but also proving that what we do actually works. Like it or not, today’s healthcare landscape is moving toward a value-based payment paradigm. In other words, the amount of payment PTs receive for their services will be directly tied to the quality of care they provide, which all hinges on improving patient outcomes. This being said, there is still room for instincts in the healthcare industry, especially when it comes to innovative approaches and disruption. Not all decisions need to be solely based on metrics and objective measures. In fact, what often separates great entrepreneurs from good ones is the willingness to take a leap of faith, especially when that leap stems from your experience in the field. Pay close attention to new regulations and policies:While the PT industry started out as a more loosely regulated field, those days are long gone. Over the last several years, a firestorm of rules, regulations, and policies have been thrown our way. And noncompliance with those mandates can lead to payment reductions — or even flat-out denials. When I first entered the PT field, I never thought that a bunch of jargony acronyms — MPPR, PQRS, FLR, and the like — would have such a profound impact on bottom-line revenue. The truth is, PTs have to shoulder a lot of extra administrative burden to ensure proper payment. In this vein, the fact remains that more than 90 percent of patients who could benefit from physical therapy services never receive them. But, if we continue to improve our relationships with payers and referring providers, we can make real progress toward reducing the “red tape” that makes it unnecessarily difficult for us to access patients and successfully bill for our services — and thus, make a dent in that statistic. After all, payers and referring physicians continue to be two of the biggest gateways to potential patients. In the context of social media, you obviously have to use discretion. But at WebPT, we believe in being radically transparent; knowing our individual strengths and owning up to our weaknesses makes us a stronger team. In fact, one of our core values is “F Up, Own Up,” which keeps us honest and holds us accountable. We’ve continued to act on this value through bloggingand social media. As a result, WebPT has been able to create a marketing engine that has helped to establish us as thought leaders and innovators within our industry, designating us as a market leader. This form of marketing has also helped shed light on what physical therapists actually do as professionals, demystifying the profession while also sharing stories, testimonials, research, and expertise to help our profession gain the notoriety it deserves. As for my personal story and background as a PT, it has actually been a key part of WebPT’s success. It has helped shape our software’s features and functionality because I intimately understand the profession, our needs, and the ever-increasing demands being placed upon us to demonstrate value. This is a strength I bring to the table, but I’ve learned to be equally transparent about the areas where I may fall short. I work to inspire and empower students, entrepreneurs, female leaders, and other tech founders by sharing my successes and failures — something I’m able to do easily through social media, blogging, and various speaking engagements. This drive to share my knowledge and experience also served as the inspiration behind WebPT’s monthly Founder Letter blog posts, which gives me some creative freedom to write about industry-related trends and topics. I’ve always loved this quote from Maya Angelou: “I’ve learned that people will forget what you said, people will forget what you did, but people will never forget how you made them feel.” When I began my career as a PT, it was to effect positive change in other people’s’ lives and continues to be the driving force behind my work at WebPT. I find that this quote epitomizes what I strive to do, day in and day out, both personally and professionally. This is simple. I would inspire more people with musculoskeletal pain to seek out a physical therapist as their first course of action for pain management. Unfortunately, in the current landscape, that is not the case. As I mentioned above, about 90 percent of patientswho could benefit from physical therapy services never receive them, which means they either live in pain, seek out potentially addictive painkillers, or undergo surgery. This happens despite the fact that researchhas shown that when PT — rather than traditional care routes — is the first choice to address certain injuries, the course of treatment is often shorter, the patient experiences better outcomes, and the overall cost is lower. There is also a huge need for physical therapists in the pain-management space. And while we have traditionally branded ourselves as movement experts, there is a lot of opportunity for us to help fight the opioid epidemic. The treatment of musculoskeletal conditions — specifically, spine-related disorders — is the most expensive category of healthcare costs. It’s also the primary reason for opioid prescriptions and is associated with more than half of all “low-value” healthcare services. A recent study from Boston University found that 75 to 90 percent of patients with low back issues were less likely to have short- or long-term exposure to opioids when PT was their first line of treatment.